Max Holidays is continually serving as one of the leading travel companions for abundant globetrotters every year and we have brought up a bundle of travel guides meant to facilitate you with innumerable reasons for visiting the beautiful sites which we offer. Max Holidays’ 2017-18 Brochure comprises of the classic tours, exclusive tours, discovery tours and the tailor made vacations. A one stop solution for each and every globetrotter as this brochure is inclusive of the varied itineraries associated with your expedition to the abundant states and cities in India. Commencing from the reasons for travelling with us till your reviews after travelling with us- we ensure that your journey is a memorable one. 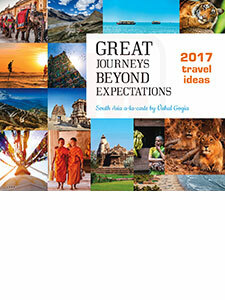 Bringing for you some of the best travel ideas, the Cafe Coffee Table Booklet 2017 facilitates you with some of the important information that every traveller must know while being present in any state or city in India. The Booklet contains much needed information about the whole of South Asia including Rajasthan, Ladakh, Kerala, North East India, Gujarat, Madhya Pradesh, Bhutan, Nepal, Tibet and abundant others. 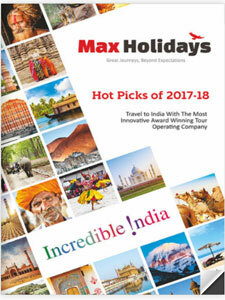 It consists of the innumerable HOT PICKS of 2017-18 and you are unequivocally welcome to travel with the India’s most Innovative Award Winning Tour Operating Company Max Holidays. Some of the top reasons for travelling with us are highlighted in this flyer accompanied with the most unique travel ideas to the Holy Mt. Kailash Trek, India’s Golden Triangle, Hemis Dance Festival and also the Pushkar Camel Fair. 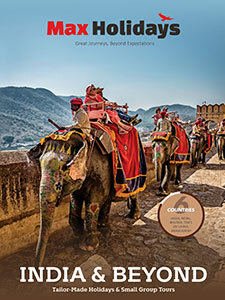 The Max Holidays Brochure incorporates a beguiling array of the finest Worldwide Holiday Packages accompanied with the Incredible India Tours as well as the Exotic World Holidays’ Tours. The programmes are not just confined to a single kind of tour instead, you can indulge in family holidays, Escorted Group Tours, Incentive Trips, Honeymoon Tours, Soft Adventure, Event Planning as well as the Spiritual Tours of India. 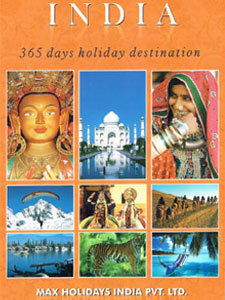 A complete tour guide to the mighty land of Incredible India is what defines the 365 Days Holiday Destination Brochure. 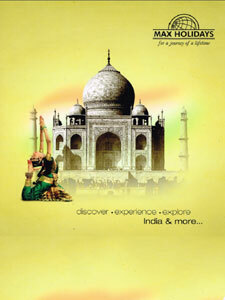 India is considered to be a destination that can be explored anytime during the whole year. Apart from the majestic states of this country, we have also come up with the amazing tours to the Land of Thunder Dragon- Bhutan, Roof of the World- Tibet and also the most winsome Nepal. See the new and vibrant colours of India that has already changed much in the past 1000 years. Engross in the ultimate beauty of India by indulging in the Golden Triangle Tour with Max Holidays that covers the three most exotic locations- Delhi, Agra and Jaipur. 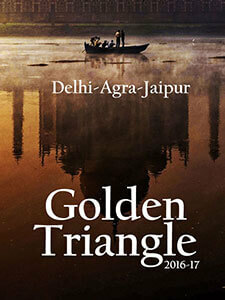 It is majorly acknowledged that the Golden Triangle is an apt way of seeing the Mini India.